Your air conditioning system has gotten quite a workout over the summer months. While you are very grateful that it has been operating well and keeping you and your family cool all through the hot temperatures, as the summer begins to wind down you may not notice that the system is not operating as well as it should. There are times when the air does not seem as cool as if she were that the system may take a little bit longer to kick in when it should be turning on. Even though you may not place a high priority on getting it looked that now, spending at this moment for air condition in Glendale repairs will be much better for you than if you wait. Trying to ignore any potential problems with your air conditioning system can lead you to a much greater expense down the road. You have to know that if you notice anything out of the ordinary with way your system is operating or the way it sounds that something must be off. Pretending it is not there only potential leads to creating bigger problems for you. If you spend the money now to get your system looked at and repaired properly, it may only cost a little bit of money and give you much greater performance from your system. Waiting it out and end up to serious damage being caused to the system, leading to repairs that could be in the thousands of dollars’ worth of the need to have the whole system replaced. The best move you can make at this point is to make an appointment to have an air condition in Glendale repair service come to your home and take a look at your system. It is very likely that the repair service come in and be able to make minor adjustments or repairs that will cost you a great deal and will help to keep your system running at its best. In order to get quality air condition in Glendale repair, you want to be sure to call American Clean Air and Heating at 818-406-6000. 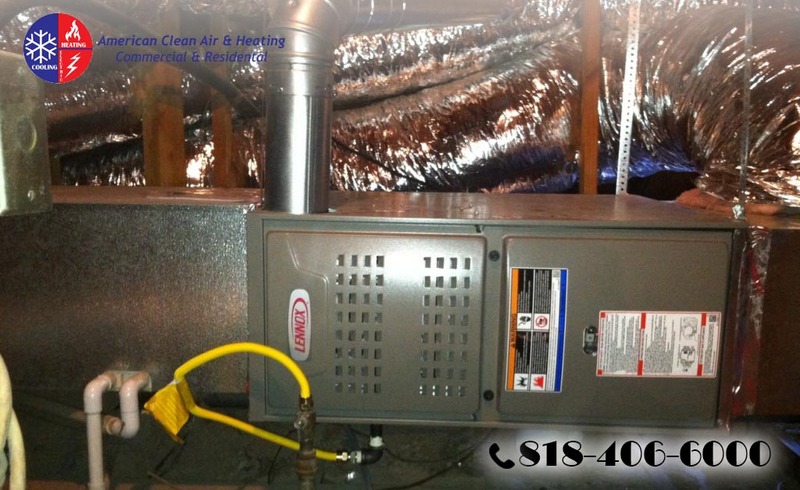 American Clean Air and Heating provides air conditioning repair and maintenance service throughout the area and can help you get the affordable work done that you need to keep your system operational.